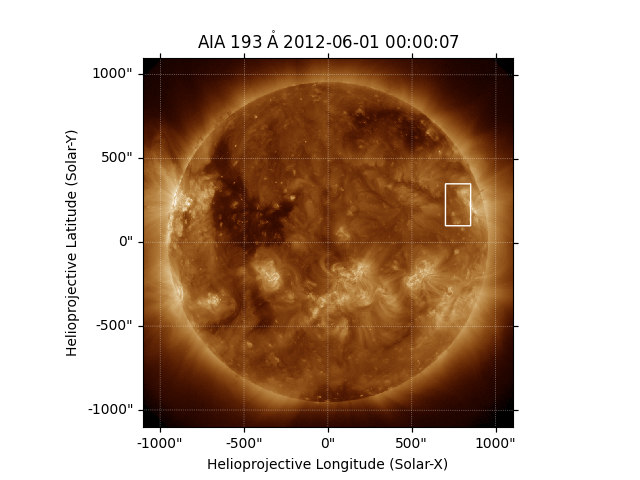 In this example we demonstrate how you can identify a point or region on the surface of the Sun in an AIA image and then convert that point to a point in a STEREO image. The first step is to download some data, we are going to get an image from early 2011 when the STEREO spacecraft were roughly 90 deg seperated from the Earth. Create a dictionary with the two maps, cropped down to full disk. We now want to crop out this same area on the STEREO EUVI image. First, we create a SkyCoord object with the four corners of the box. 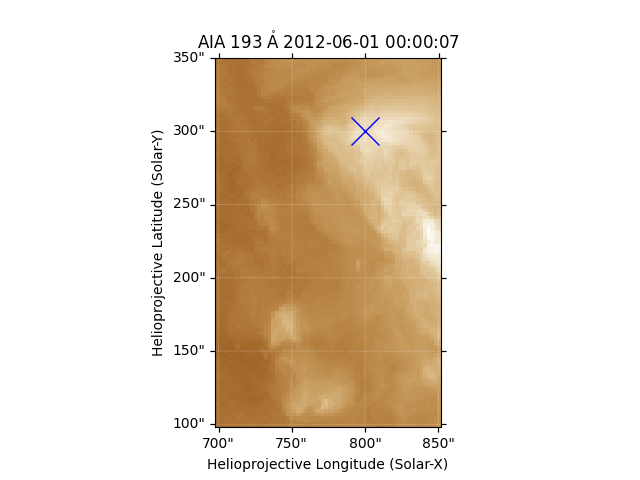 When we create this object, we use Map.coordinate_frame so that the location parameters of SDO are correctly set. We can now transform to from the AIA frame to the EUVI frame. This transformation first transforms to Heliographic Stonyhurst coordinates and then into the EUVI frame. # coord is the top-right corner coord is the bottom-left corner.